Beijing, Dec 7 (IANS) Chinese stocks opened higher on Friday, with the benchmark Shanghai Composite Index up 0.16 per cent to open at 2,609.34 points. 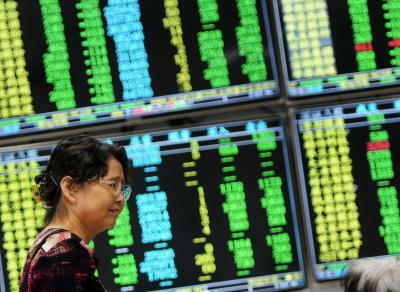 The Shenzhen Component Index opened 0.09 per cent higher at 7,741.73 points., Xinhua news agency reported. Meanwhile, the central parity rate of the Chinese currency renminbi, or the yuan, weakened 65 basis points to 6.8664 against the US dollar, according to the China Foreign Exchange Trade System. In China's spot foreign exchange market, the yuan is allowed to rise or fall by 2 per cent from the central parity rate each trading day.